CNN reporter Jim Acosta’s press pass into the White House is suspended. This comes after Acosta got into an argument with President Trump during a news conference. Acosta had refused to give up the microphone when President Trump stopped answering his questions. White House Press Secretary Sarah Huckabee Sanders told reporters, “As a result of today’s incident, the White House is suspending the hard pass of the reporter involved until further notice.” Acosta tweeted the news when he was denied entrance into the White House. 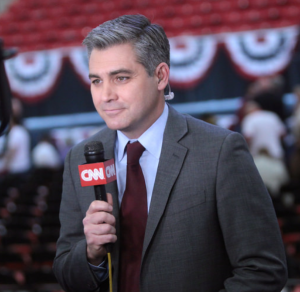 CNN calls Acosta’s press pass suspension an “unprecedented decision,” and gives Acosta their full support.